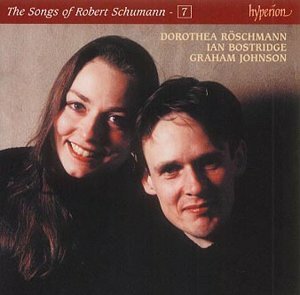 Volume 7 in Hyperion's compact disc series The Complete Songs of Robert Schumann, this one with Dorothea Röschmann and Ian Bostridge, can be ordered from amazon.co.uk. In the United States, it can be ordered from amazon.com. Ian Bostridge aStore U. K.